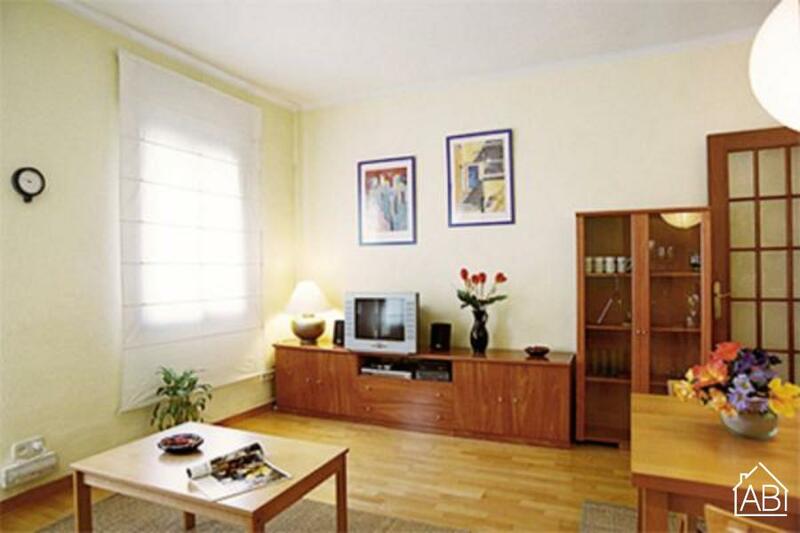 This comfortable, two bedroom apartment in Barcelona is situated under 400m from the glorious Sagrada Familia. This area is the ideal place from which to begin exploring the city, with great public transport available along with plenty of bars, restaurants and cafés at your doorstep! There are two bedrooms in this apartment - one double and one single, and the bathroom features a walk-in shower. The living area provides a homely feel with a neutral color design and plenty of natural light. Guests can relax on the double sofa bed and watch TV, enjoy a DVD or go online using the Internet connection. This apartment can accommodate up to five people. Pick up some local products in the supermarkets surrounding the apartment and whip up your own home-cooked meal in the fully-equipped kitchen, providing you will all appliances necessary. Designed for a comfortable stay in this beautiful Mediterranean city, guests will feel right at home when staying in this Barcelona apartment, situated in a fabulous location. Please note: Check-ins must take place between 15-23h. Check-in between 21 and 23h will mean a fee of 25 EUR must be paid. Check in on bank holidays such as Jan 1, December 24, 25, 26 and 31 will carry a fee of 30 EUR.